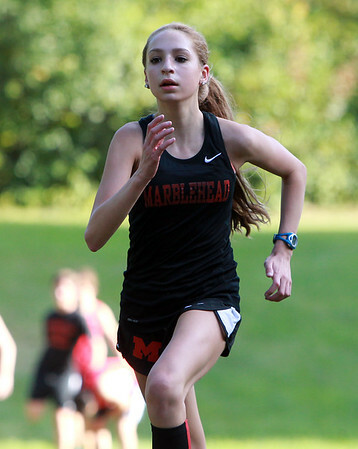 Marblehead freshman Grace McGuire races towards the finish line against Beverly on Tuesday afternoon. DAVID LE/Staff photo. 9/23/14.